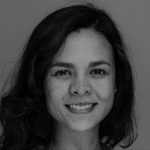 As the Program Officer for Latin America, Laura is responsible for coordinating the development, implementation and financial management of the project Strengthening Human Rights Education Globally in Colombia. She holds a Masters Degree in Public Policy and Public Administration from Concordia University (Montreal) and a Bachelor’s Degree in Finance and International Relations from Universidad Externado de Colombia (Bogotá). Prior to joining Equitas, Laura worked for private foundations and national government institutions in Colombia, supporting and coordinating non-formal education programs oriented to strengthen children and youth citizen competencies and critical thinking skills.